SR01-60 converts 1X Synchro Signals (1X & 36X) to NMEA (or other protocols). SR01-60 also converters LOG pulses: 200 or 400 pulses per n mile to NMEA (or other protocols). Synchro Signals; 1X or 36X, are converted to NMEA HEADING & ROT (calculated). The units can also be used for Synhcro Speed Conversion. The signals are decoded and send out as serial HEADING data out on 2x RS422 Data Output Channel. Default protocol is NMEA, but you can also select: Course Bus protocol, RGS/Tokimek protocol, Yokogawa old protocol, “Lehmkuhl” LR22/40/60, Robertson SKR80/82 formats. The two serial data outputs (RS422) are independent and can operate at different Baud Rates and with different Protocols. 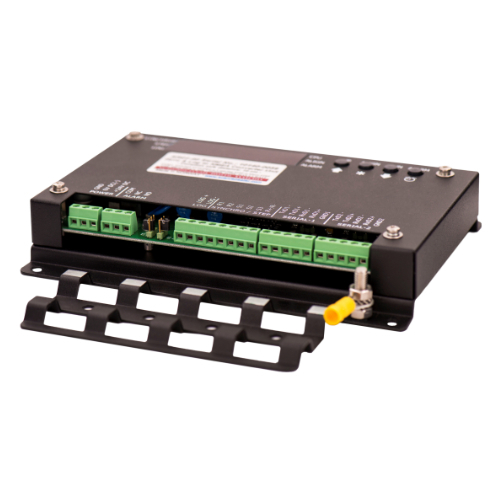 The SR01-40 can therefore be used as protocol & / or Baud Rate converter. SR01-60 has an ALARM RELAY output: NO, NC, 2A relay contacts are available for external alarms. In addition the unit can be used with NMEA Alarm Communication protocol.